Visiting the Hawaiian Islands is an amazing experience for most people. Hawaii boasts so much beauty in every corner, that it can be very tempting for tourists to take a piece of the island home. As tempting as it may be – DON’T DO IT! Here’s why. Packing a few lava rocks or a handful of sand for a remarkable keepsake is harmless, right? Not so. Possessing or removing any natural mineral is illegal and could cost you some hefty fines. Hawaii is big on the preservation of natural resources. But aside from the legalities, there is another BIG reason not to take it with you…LUCK! Hawaiian culture is one of many superstitions and legends. One of which is the legend of Pele. Pele, the Goddess of Fire, is known for her fiery temperament and powerful personality. There are many legends of Pele that illustrate lover’s quarrels, epic battles with siblings and the driving away from her native Tahiti to the Hawaiian Islands. You can read about some of them here. If you haven’t heard of Pele before, you will likely learn about her while visiting Hawaii. Pele’s home is believed to be Halemaumau Crater which is located at the summit of Kilauea. Kilauea, located inside of Hawai’i Volcanoes National Park, is one of the world’s most active volcanoes and the frequent volcanic activity is believed to be Pele’s longing for her true love. When lava spews from the volcano, it is her erupting. She leaves behind pieces of “Pele’s Hair” and “Pele’s Tears”. These are the long strands of hardened lava and small lava rocks found all over the park. Legend also has it that if you take any of the natural minerals including lava rock, sand or dirt from where Pele placed it, she will curse you, bringing you bad luck and misfortune not long after removing what she considers hers from the island. Knowingly removing even the smallest rock can land you in hot lava with Pele. While many people believe this to be superstition, Hawaii receives many packages of returned lava rock from tourists who claim misfortune since possessing the rock. Returning what belongs to Pele is believed to be the only way to break the curse. Pele represents all things volcanic in Hawaii. Pele is also credited with the growth and creation of new land in Hawaii as the islands have physically grown overtime from her lava-spewing eruptions. 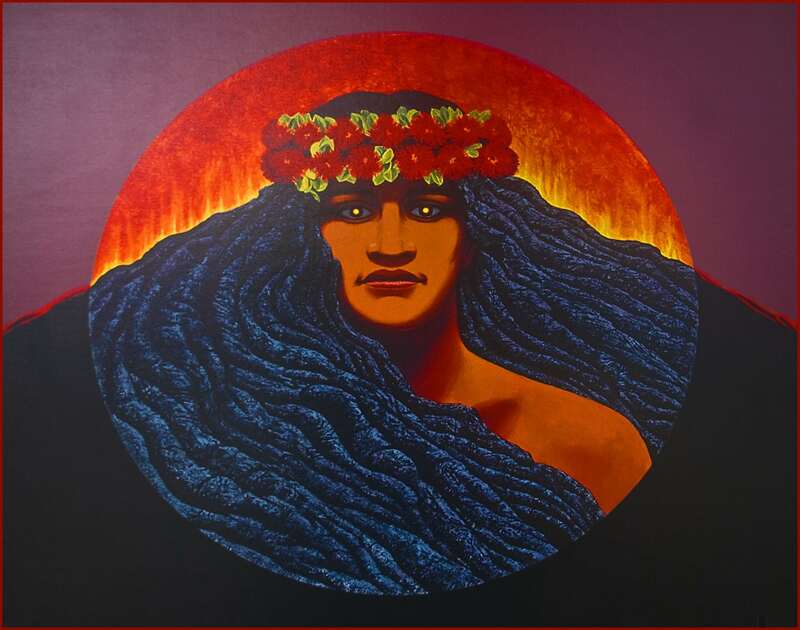 Learn more about The Goddess of Fire on your visit to Hawai’i Volcanoes National Park and remember, you can’t take it with you! Note: Volcanoes National Park is located just miles from our properties. We provide lodging that allows for very easy access for your adventures to come inside of Volcanoes National Park.